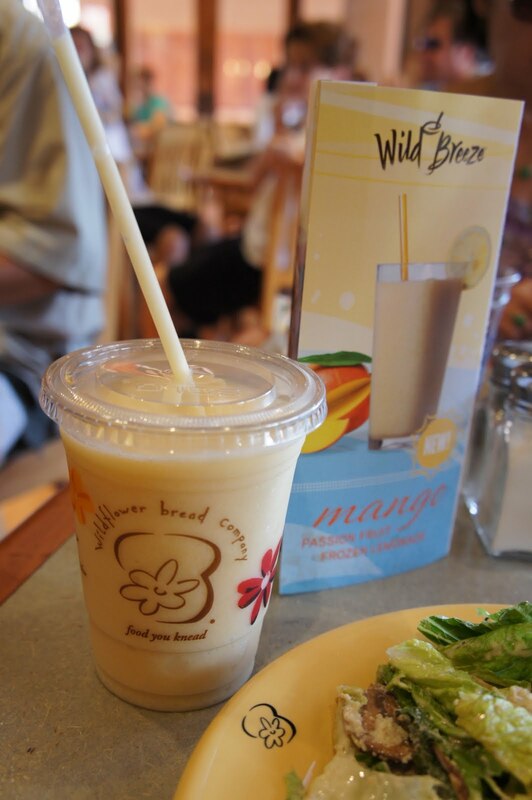 Now, one of our most favorites places to eat in Sedona was at Wildflower Bread Co. Mom and I found this gem of a place on one of our last days there. Thankfully, when we drove back to Phoenix to return the car and get to the airport, there was one 5 minutes away from our hotel! Wildflower always seemed to be buzzin', especially at lunch. The lines never slowed down!! And I definitely know why. 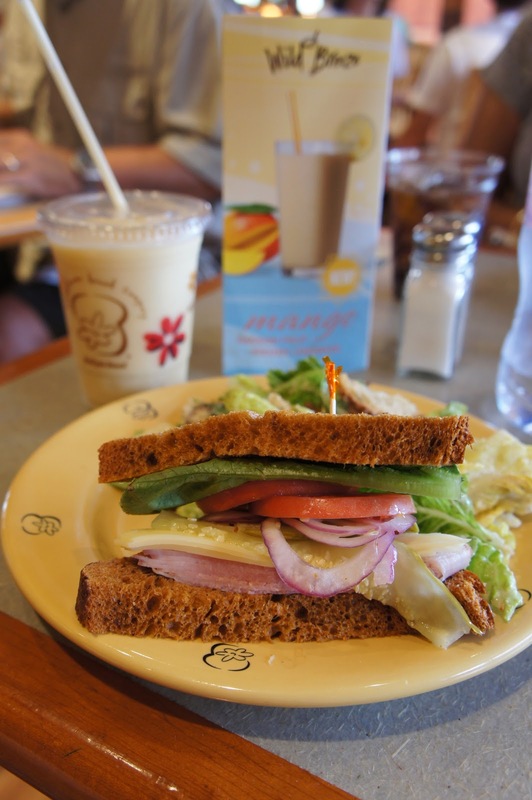 They have a variety of soup, salads, and hot/cold sandwiches, plus some different pasta options for dinner. Did I mention breakfast?! Lemon Ricotta Pancakes? YUM. And Pastries galore! I wanted to try everything! Get your coffee fix or smoothie fix here as well. It's just an easy place to sit down and have a nice healthy breakfast, lunch or dinner. Prices are definitely reasonable, and it was also one of our most inexpensive meals thus far! I really wish Hawaii had a place like this. It would do well. 1/2 sandwich: Honey-cured Ham and Swiss. Comes with side soup, salad or fruit. Mango Passion Fruit Frozen Lemonade- SUPER GOOD! So refreshing on a hot day in Sedona! Mom's Turkey Breast and Brie with side fruit bowl. Dad finally had the chance to come here, and was craving meatballs! Here's his meatball sand! He said it was ultra delicious. Look how big those meatballs are! Turkey Breast and Brie Sand with side grain mustard and side honey mustard. Ask for those two diff mustards- they are OH-SO-YUMMY. One is like dijon mustard, but better, and the other is a sweeter mustard with spice! Gives the sandwiches some kick! I have to say, this place had THE best Caesar salad. plus they add in marinated mushrooms! Lemon Ricotta Pancakes with Butter, Syrup, and Blueberry Compote. There was also Regular Pancakes and also Banana Walnut.